The term “poser” has gotten a bad rap. According to most dictionaries, it has negative connotations and refers to a person who either pretends to be something he or she isn’t or acts in an affected manner in order to impress others. 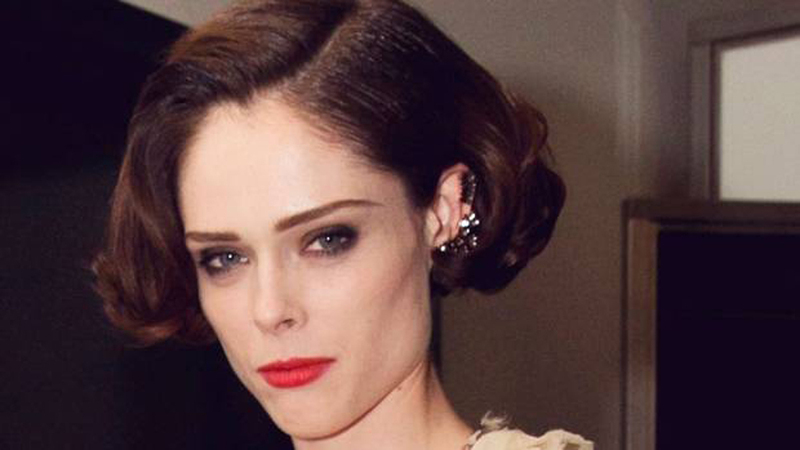 But Toronto-born, Richmond, B.C.-raised model Coco Rocha would likely take offence to those definitions. Her new book, Study of Pose, is an ode to what Rocha does best, documenting a cool one thousand different gestures, each one executed by the supermodel herself. Shot by New York-based photographer Steven Sebring (famous for his work with singer-songwriter Patti Smith), the book boasts an introduction by Jean Paul Gaultier, who helped catapult Rocha to superstardom when she opened his fall 2007 Scottish Highlands-themed show by performing a jig down the catwalk. Originally discovered in 2002 at an Irish dance competition, 26-year-old Rocha quickly went on to conquer international runways with her chameleon-like, theatrical presence. As a strong advocate for the modeling industry, she is intent on illustrating that there’s far more to the art and commerce of modeling than meets the eye. I met up with Rocha, who is currently pregnant, at Toronto’s Soho Metropolitan Hotel to talk about her craft, the perils of the fashion world and how impending motherhood might change her. What I love about your new book is that it emphasizes that you are very much a performer. I don’t think that all models necessarily see themselves in that light. No, they don’t. And I want people to look at our careers and our industry and to think of it as performance. Models are meant to be muses. We watch someone we’re intrigued by. You should be inspired when you look at our images. You were a trained dancer when you got started. How important do you think that kind of experience is for a model? When I work with new models, I first and foremost ask them if they have any background in dance? Half say yes, half say no, and you can definitely tell the difference. I tell young people, if modeling is something you’re really passionate about, take some dance classes because you really can learn about your body in ways that you never even knew existed. One thing that you also have to your credit is acting talent. Why didn’t you become an actress? If only I could remember lines! If you want to be a great actor or actress, you’re going to study in the same way as modeling. I chose to make modeling my passion, to work hard at it. I wanted to be very well rounded in that sphere. Maybe one day I will go into acting, but I would want to be well educated in that as well. I don’t want to be one of those people who just tries to do everything and is just semi-good at it all. What has this career in modeling done for you as a human being? I came into this industry pretty much a meek, quiet, shy little person. I couldn’t stand up for myself. I think a lot of girls enter into the industry meekly, but you’re usually only 14 or 15 years old and the dorky girl in school. Boys don’t really like you and the girls make fun of you. Coming into this industry is such a whirlwind experience that, I think, it has given me the confidence I never knew I could build. I still thank this industry so much for building my character. Sure, there are a few things you wish you could have avoided, but, in the end, that’s life and you learn from it. What part of the business drove you crazy? That a lot of people think of modeling as a frivolous job, that your job is only to be in photos, so there’s no need for you to speak or do anything but look pretty. That drives me nuts, especially if it’s new models coming in thinking that’s what our job is. I want people to know that models are not only the faces of companies but meant to be muses to designers and to the people that look to this industry for inspiration. Have you ever felt that you have to fight to be taken more seriously? For sure. The first thing you’re always fighting in the modeling world is the image that, if you’re a model, you’ve got a party life. I think I’m a smart girl, I’m educated. There are educated girls out there who actually want to make a difference and they are making a difference using this as a platform. A lot of models are under 18. They are, in fact, children. So it frustrates me sometimes when certain people forget that they are working with kids. That’s when I need to educate people. Two years ago, we passed a law in New York where underage models were finally considered child performers who are now protected. Why didn’t this exist before? It was kind of like the Wild West in the industry. We just didn’t understand. Nobody saw this was a problem before, but it has been solved and we’re really excited about that. You recently announced that you’re going to have a baby next spring with your husband, James Conran. How are you anticipating motherhood might change you? I don’t know if I’m really worrying about any of that. I’m just so excited. I get goose bumps about it. I am just excited to meet this little person, to see who it’s going to be. I keep joking that it’s going to be real smart and I won’t know what to do with it if, at five years old, he or she asks me about math. I’ll be like, “I can show you how to pose – but that’s all mummy can do!” If there’s change in my life – and there’s always change – then that’s a great thing. Life should never be stagnant. How do you feel about your changing body? I love it! I want to see the bump. I’m thinking, “Please, just pop out one day! Let me see you!” I’m all about it. It’s part of the experience of being a woman. You don’t worry about it chipping away at your drive? Motherhood can sometimes soften you up a bit. I’m the sort of person that always wants change. I’m always trying new and different things, different projects. This is just another change in my life and I’m eager to see what it does to me. If you have a daughter and if she’s especially tall and gorgeous, would you encourage her to pursue a career in modeling? It’s a question both my husband and I have thought about. Honestly, if that’s what a girl or a boy wanted to do, I’m never going to be the person who says they can’t do it. If I have done it, I feel like it would be an unjust thing to stop them. I feel now that I have learned all these things – the good and the bad – it feels kind of perfect that I could help my child and be able to act as a kind of guide. What words of caution would you have for your kid? Not to trust everyone. The industry has all sorts of people, creative ones, crazies. That’s why being older is helpful because you start to comprehend what you want out of this career. You have to remember that you’re not doing this for someone else. In the end, it’s all about you, not what someone wants you to be. Ultimately, what do you believe makes an especially great model?